The Clan Chief SCA Belt is hand built to the highest standards by Black Raven Armoury’s master armorsmiths from the very best? 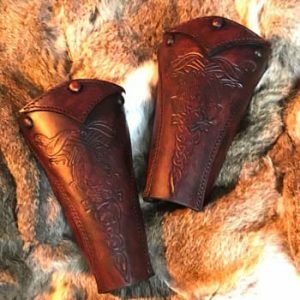 quality leather. Laminated from 2 to 3 layers of leather the belt varies from 6.4mm to 9mm in thickness. 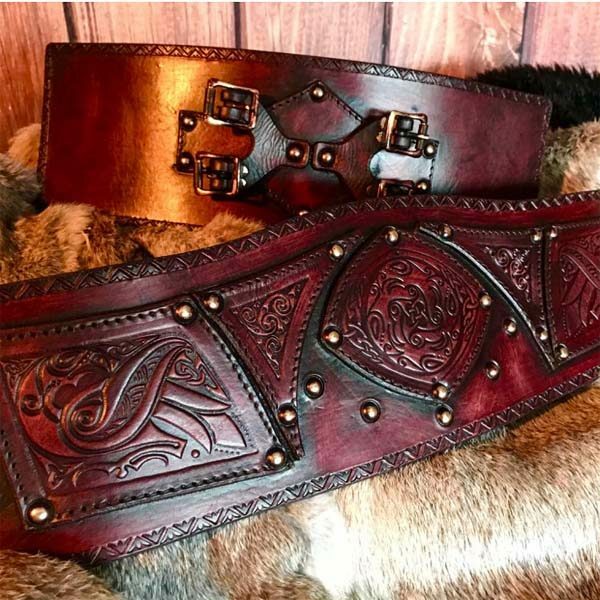 This belt has been hand cut, hand embossed, riveted, dyed, antiqued and displays a large chest embossing with a smaller edge embossing at the edges. 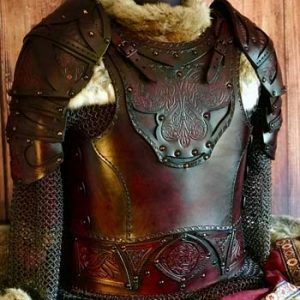 The Clan Chief SCA Leather Belt its beneath the body armour to provide extra protection to the stomach area. 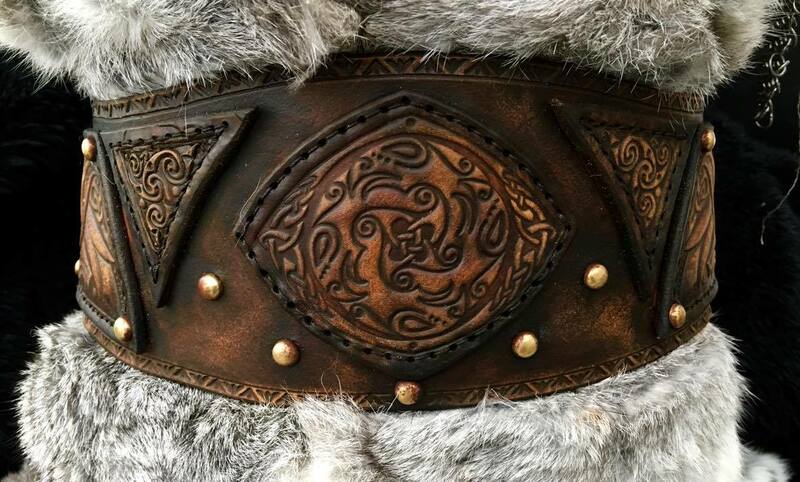 This belt will fit a range of waist sizes. 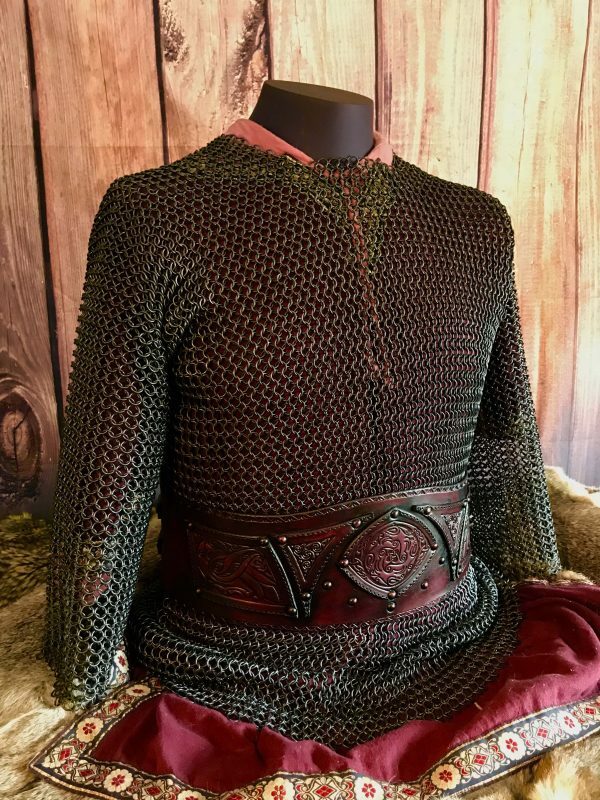 This armour is designed to be worn and used and is suitable for LARPING, SCA and re-enactment and is detailed enough to be used on screen, it will stand up to close scrutiny and the sternest critique.